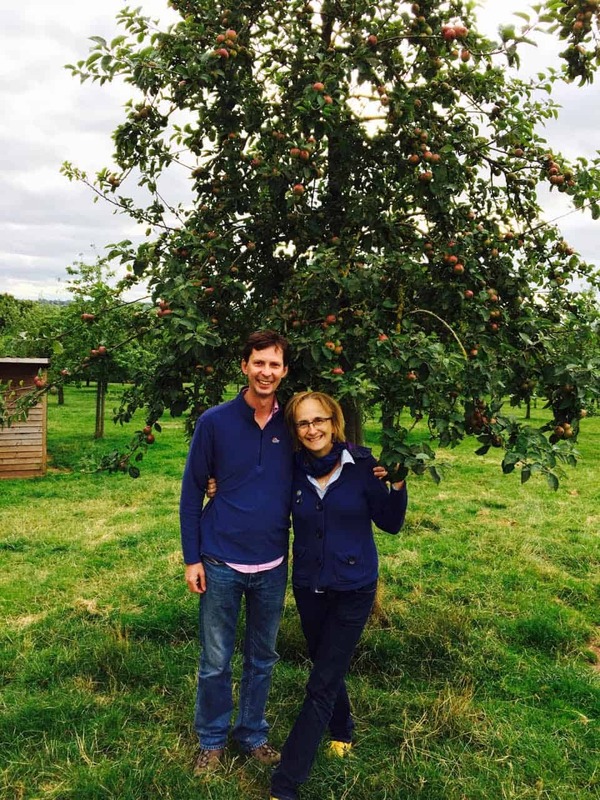 Hans Edwin Winzeler, a cider maker with Pennsylvania-based Ploughman Cider, is currently spending a 10-month sabbatical in Herefordshire, England. Through employment or volunteering with local producers this season, Hans is able to see firsthand what methods, techniques and practices they use. He’s also gotten to know a few of these cider makers, and he is conducting a series of interviews for Cider Culture to share their stories. 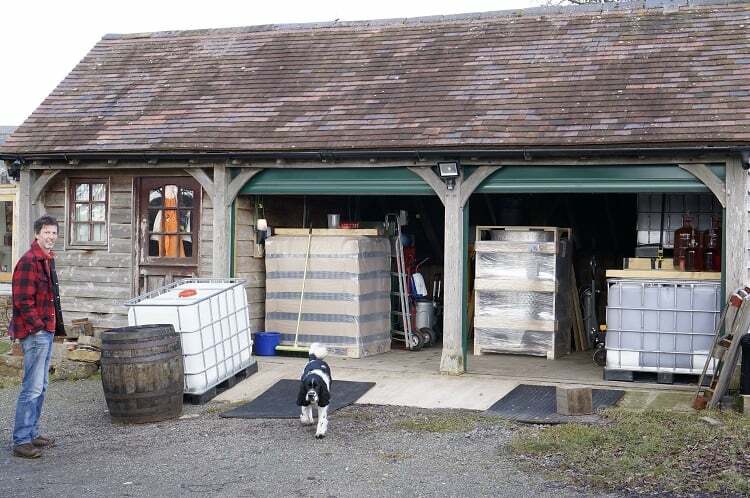 At this proposed level of production, according to James, they will be able to keep their current ethos of quality and work full-time at making cider. 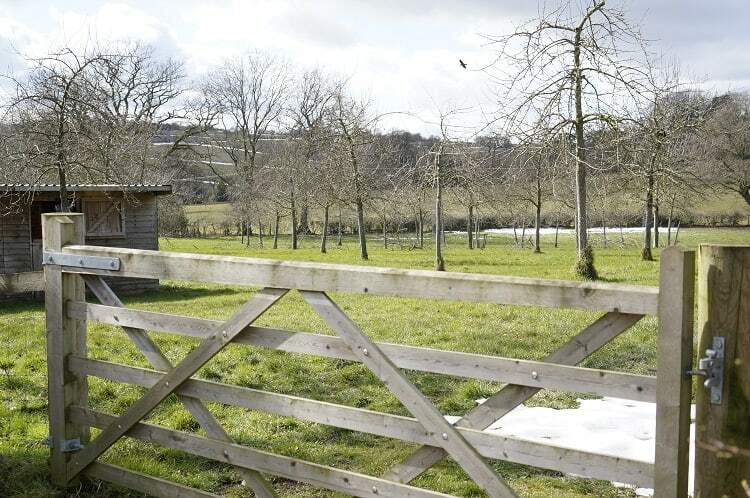 After helping them with harvest and production a few months earlier, I sat down with James one wintry morning with cakes and coffee at their property to discuss their cidery and how it relates to the industry in the UK and abroad. Susanna couldn’t attend the interview, as she was in France researching for a cider book she is writing, but she provided a few written comments later. While James and Susanna are both relatively new to cider making, they have been in the wine and beverage trades for more than 20 years. After their earlier work in the industry they knew they wanted to produce something. James said producers of drinks were always the most interesting people he and Susanna met while doing their work in retail and journalism. At one stage, Susanna launched a website, drinkbritain.com, a travel resource for enthusiasts who wanted to visit producers and see their work in action. “That took us on a road trip, about two weeks around the UK,” James remembers. 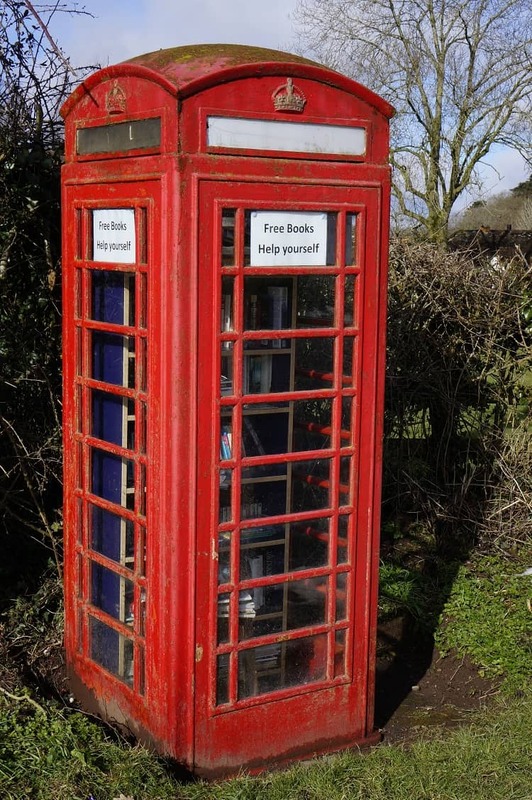 “We ended up in Herefordshire — I didn’t even know where Herefordshire was at the time — and we met inspiring people like Tom Oliver, Simon Day, Mike Johnson and Ivor Dunkerton. And we tasted some very good ciders. It was a real eye-opener for me, not so much for Susanna. 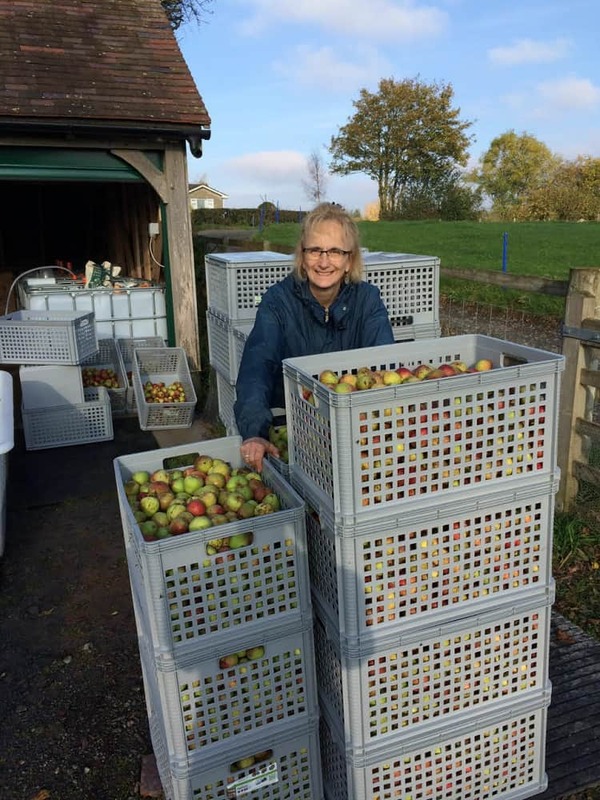 She’d had some exposure to cider and knew more about it than I did.” The experience of talking to those cider makers and tasting their wares piqued the couple’s interest in the huge potential of the cider apple. James and Susanna decided to make cider after this tour, and they bought a small house with a five-acre cider apple orchard. They started Little Pomona in 2014. The house was “nice, but just a house,” explains James. But the orchard was special. I asked James if Herefordshire needed another small cidery, considering the many that already existed there, and the market is quite crowded. His answer was an emphatic yes. James considers small cider makers of orchard-based ciders an important key to reversing what he considers the general decline in the UK cider industry. “They are, after all, the medium or large producers of the future,” he notes. He sees the cider industry in crisis, with declining valuations of finished ciders, declining acreage of cider orchards, declining levels of juice content in industrially produced ciders and replacement of fresh apples with juice concentrates chosen for cost savings rather than quality. This cost savings comes at the expense of terroir, apples are reduced to concentrate, ciders are of uncertain origin and made with minimal juice content, added water acids and sugars and other forms of what Susanna calls “subterfuge.” James says the predominant industrial approach is “a race to the bottom, and all of these big guys have crossed the finish line.” Old legacy orchard contracts signed by farmers to supply Bulmers with fruit are now receiving buyouts because it is cheaper for big companies to purchase juice concentrate from elsewhere than pay farmers for fresh apples from home. This is leading to a decline in cider apple acreage and a concomitant loss of cider culture. 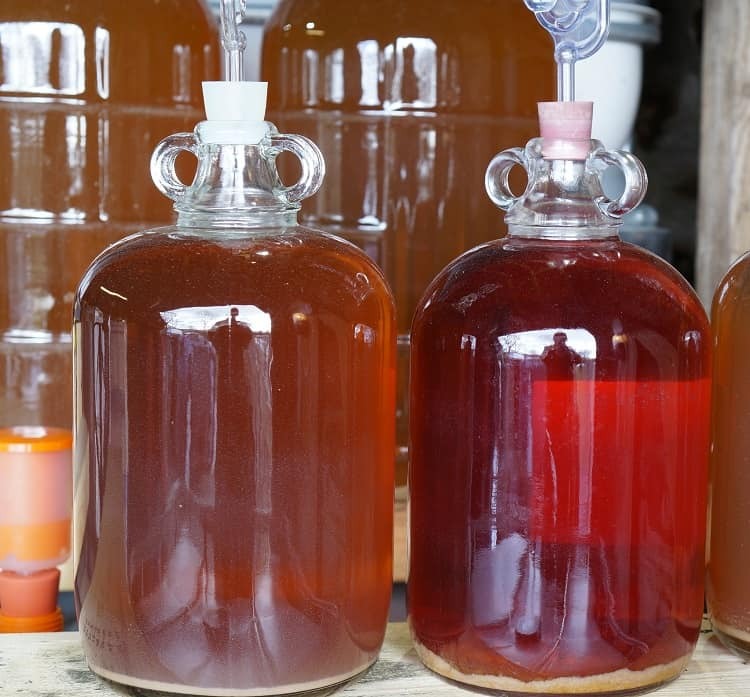 One solution, according to James, is orchard-based cider making in which ciders are made with high-quality locally produced juice using wine-making techniques and sensibilities. This approach means letting the ingredients themselves dictate the production time-scale, embracing seasonality and the maturation of quality products in their own time, eschewing additives and refusing any dilution with water. In this approach, variations in style display the natural variation in properties of apples from multiple producers, and season-to-season variability of fruit is highlighted rather than seen as an unfortunate deviation from standardization. “‘Apples and time’ is the theory. The practice is ‘apples and time,’” he says. How much time? Most Little Pomona releases are ready in 18–24 months after harvest. 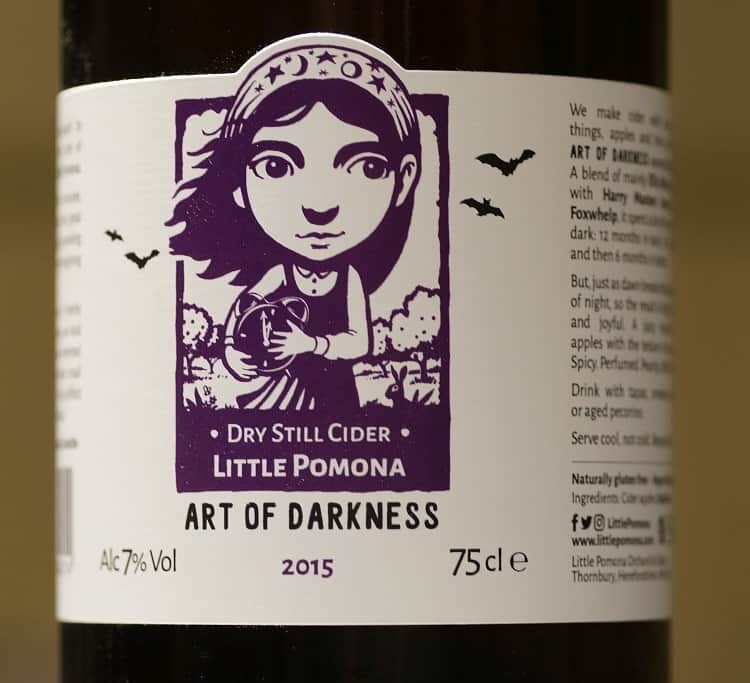 The release from March 2018, Art of Darkness, was made from apples harvested and fermented in 2015. 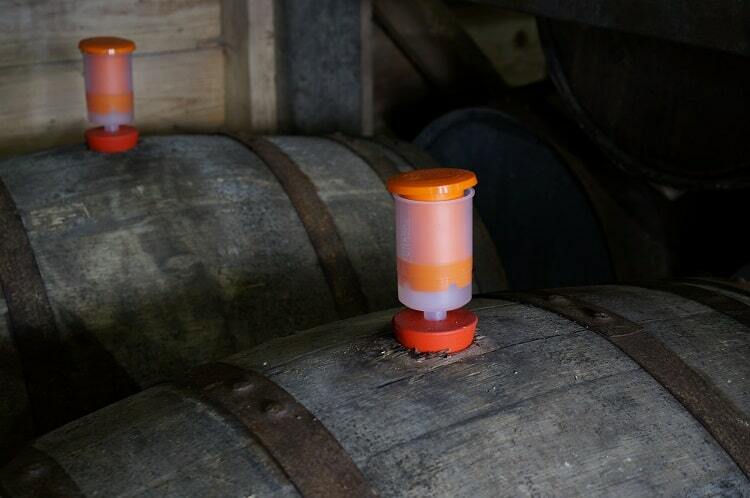 This release spent 12 months in tank, 12 months in barrel and 6 months in bottle before release. It is drinking quite well now, superb really. The aroma is incredibly fresh, and the liquid is bright and fresh, with deep tannins and a long finish. “It seems to me that it takes a lot of time for the Ellis Bitter to show its charms … it’s a ridiculously long process,” he explains. Their orchard practices are similarly passive. They do not spray their orchards, as James says the birds do as good a job of controlling orchard pests through predation as any pesticide sprays could do. Apples are harvested by hand straight from the tree, or are gently panked onto tarpaulins before going through a thorough four-grade inspection. They keep only the top two grades for their own ciders, and sell or give away other grades. James likes to choose and process apples in such a way as to retain the acids in the fruit, which provide some protection during its long maturation process. The higher acids are also part of what makes their cider stylistically different from many others in the UK. Nevertheless, these details, like everything I have seen here, all have thought and intention behind them. Little Pomona labels include clear discussions of harvest and maturation dates, apple variety selection and the story of each cider’s name. I asked James whether cider could be great, and if so, how could great cider be described. James and Susanna are planning to expand their orchard in the next few years, planting the new acreage to 75% bittersweet apples and 25% bittersharps. They haven’t decided which varieties to grow yet, but they will be “something unusual.” James would prefer to hand-pick every apple, so small trees are appealing. Great write up – thanks for sharing your experiences in the UK. And kudos to Little Pomona for upholding the quality of cider.